2011 | Science | 44 min | Official Site | Official Facebook | Official Twitter Quick Pick a Comedy or TV Special or a Play COMEDYGRAPHY 2009 - Weapons of Self Destruction 2002 - Live on Broadway 1986 - Live at the Met 1983 - An Evening with Robin Williams 1983 - Throbbing Python of Love 1979 - Reality... What a Concept! 1978 - Live at the Roxy PLAYS 2011 - Bengal Tiger at the Baghdad Zoo 2003 - The Exonerated 1988 - Waiting for Godot 1976 - The Lover TV APPEARANCES & OTHER WORKS 2013 - The Crazy Ones 2008 - SVU: Special Victims Unit 2001 - Inside the Actors Studio 2000 - 2002 - Audible 2000 - Celebrate Humanity Campaign 1994 - Homicide: Life on the Street 1991 - A Wish For Wings That Work 1982 - Faerie Tale Theatre 1982 - Mork & Mindy/Laverne & Shirley/Fonz Hour 1978 - 1982 - Mork & Mindy 1977 - Can I Do It 'Till I Need Glasses? Curiosity asks and answers the most fundamental questions facing the world today. 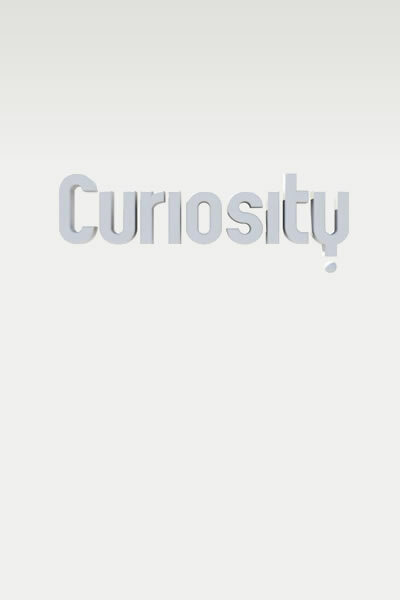 Each episode of Curiosity will focus on a single enduring question in science, technology, and society. As is always the case, one single question cascades into several more, making each episode of Curiosity a rich and textured experience. From the micro to the macro, we tackle provocative and insightful questions. Is there a Creator? Is it likely there's an alternate universe? Could you find out exactly how you are going to die and would you want to know? Are some people genetically prone to violence? Is time travel really possible? Why is it that we dream? What don't we know about gravity and does it hold the secret for exploring the universe? Since time immemorial, human have ingested substances designed to give them superhuman energy, strange visions, otherworldly sensations. Sometimes, the reasons have been ritualistic, sometimes religious, sometimes simply recreational. What is their chemical makeup? How do they alter the body and the brain, and why are many of them so addictive - and often deadly? Robin Williams, who's experienced both the highs and the lows of substance abuse, takes us on a candid, shocking and sometimes sobering journey into the psychophysiology of psychotropic drugs. Robin will be studying what drugs do to our bodies.